Shipping been the world largest way of transportation today, has her own way of refilling her engine fuel. On this article, we are going to discuss the meaning of “bunkering” & “Bunker”. Ship bunkering: This is a process of filling in ship fuel into her various tankers. On this operation required the presence of chief engineer, 4th or 3rd Engineer, and in the other hands, the deck officers on watch and his or her term also required to alongside the bunker ship. Bunker : Is the name given to the ship fuel which is been supplied to the ship. 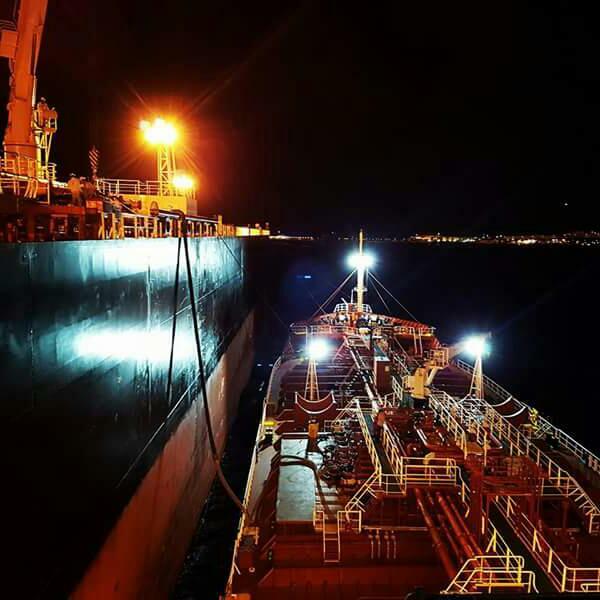 Since ships uses different types of fuel “; ie heavy fuel Oil (HFO), Diesel oil (MDO), Liquefied natural gas (LNG) , etc” we generally name them bunker. Get more about what you need and roles to play during Ship Bunkering operations. Since this operation involves flammable substance, it requires a maximum safety precautions to be taken. In this case, you need to check and makes sure your company’s checklist is been filled so that no safety precautions led down incase of such operation is missed on.